Leonardo DiCaprio and Danny Boyle for Sony Pictures’ Steve Jobs film? Leonardo DiCaprio and Danny Boyle may pair up for a new movie about Apple Inc. CEO and co-founder Steve Jobs. The film will be made for Sony Pictures. David Fincher dropping out of this upcoming Steve Jobs movie may be for the best! According to The Hollywood Reporter, the director was too ardent about his demands for the films. One of Fincher’s requirements for the movie was that Christian Bale star in the lead role. 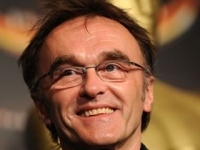 The latest news published is that Danny Boyle and Leonardo DiCaprio may be the duo that will breathe new life in this ambitious project. This upcoming movie about the iconic co-founder of Apple Inc. will be based on Jobs’s best-selling biography by Walter Isaacson. Although Danny Boyle and Leonardo DiCaprio have not been confirmed yet, Aaron Sorkin and Scott Rudin are definite attachments to the project as screenwriter and producer, respectively. Boyle has never had the chance to work with Sorkin up to now. It should be interesting to see what kind of movie they can create as a team, if ever Boyle confirms his participation as the director. DiCaprio and Boyle have collaborated in the making of the critically acclaimed movie The Beach. Released in 2000, this film was also based on the best-selling eponymous novel by Alex Garland, which was a work of fiction rather than a real life story, such as Sony Pictures’ Steve Jobs film.